Party! Here are some photos from last night! Such a great night with some amazing memories! Tonight was my sisters prom. I helped Rebecca chose her dress, hair, make-up and shoes and she looked amazing! So proud of her. Here are a couple of photos of Becca and her friends looking fancy and beautiful! 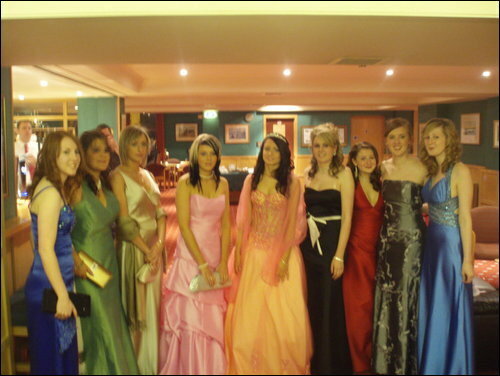 5 years since my own prom and I am feeling so old! Pay day is my favourite day of the month and I am usually the worst for spending all my pay the day it hits my bank account. This means I am very poor for the rest of the month and because of this unfortunate situation I find myself in, I have decided that I need to SAVE my pennies! However, I do believe in treating yourself every now and then to keep yourself smiling! This pay day, I treated myself to a Benefit Brow Wax and Tint with my favourite Benefit girl. My brows were amazing as always when I left! I love Soap and Glory and this body wash is my favourite bath product ever! It smells like Lemon Meringue Pie and as soon as I ran out of the first bottle i had to get some more. I have never tried No7's skincare range before so I am looking forward to trying out these products. I got the Barry M Nail Paint free with the No7 products and I love it! I have it on my nails right now. The final product is this dental floss and it is amazing. I am not an expert on dental floss and I don't usually rave about dental products but this dental floss is amazing. I got this wee playsuit from River Island for £20. I think its more a beach cover to be honest but I'll try and rock this on a night out with some super high heels. This dress is my new favourite. I love midi dresses and it was actually my mum that spotted this number! £14.99 in New Look and worth every penny! Its a monochrome midi dress with tiny orange bits all over it. I had to have it because orange is my favourite colour. I wore this dress out last night for a dinner and drinks date with my bestie! 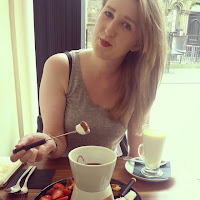 We went to an amazing Italian Restaurant in Edinburgh that had the most delicious puddings ever. The night ended back in Kelso with a few cocktails. I have always wanted a wee tartan scarf for the winter time and after buying one for my friend Carly's Christmas, I couldn't help by this one from the Edinburgh Woollen Mill. It is made by James Pringle Weavers and is the softest tartan scarf ever. They had an offer on and I got three of these scarves for £15, so I gave the other two away as presents to my best friends. This post is showing some outfits I have put together over the last couple of weeks were I have enhanced my look with my scarf. Looking at these photos, my mirror is disgusting! ignore the make-up marks and focus on the scarf! My favourite accessory right now. Hoping that I will be storing it away for next winter soon! Bring on Summer! 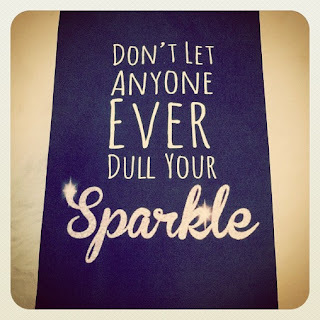 So I think this is my 4th blog out there? I start off loving my blog and updating it often and then... something comes up and blogging isn't a priority any more. 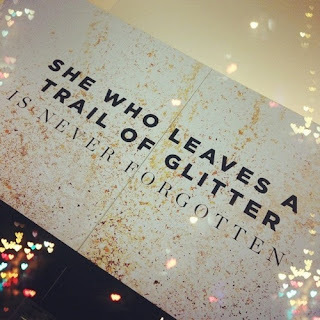 This new blog 'Georgina Sparkles' is a new blog I am creating that will be a beauty, fashion, everyday blog. I chose the name 'Georgina Sparkles' for my blog because: 1. My name is Georgina 2. It reminds me of one of my favourite Gossip Girl Character, Georgina Sparks. and 3. 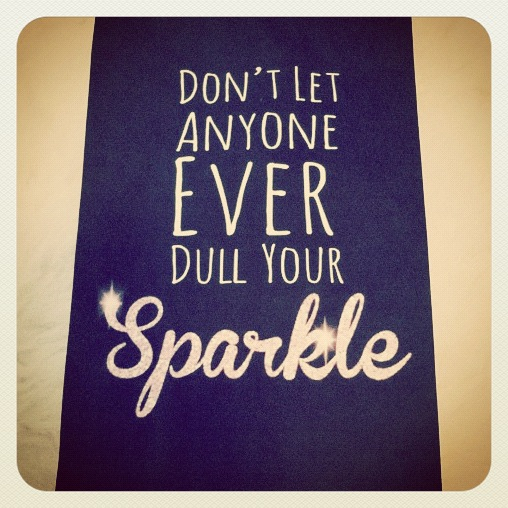 Someone very wise once told me that I lost my sparkle one day and since that day I have sworn to not let anyone every dull your sparkle! I want to make a promise with this blog but I'm afraid I will not keep it. I will try super hard to update this blog at least once a week! Outfits of the day, product reviews, my day to day business! exciting stuff awaiting for you lot I am sure!